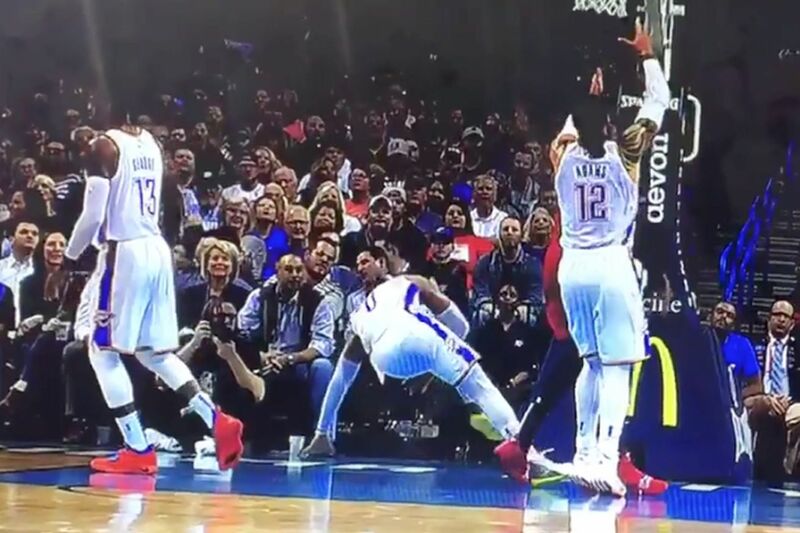 Russell Westbrook went down after rolling his ankle on Anthony Davis’ foot in the third quarter of the Pelicans-Thunder game on Monday night, and it looked ugly. He slapped the floor and yelled in the seconds after, then hobbled to the locker room where he ultimately needed assistance. It isn’t yet clear how serious the injury is, but he was in real pain. The Thunder are on a four-game winning streak after missing Westbrook for the first two games of the year, but if he’s out for extended time, that could be in danger.